Cub Scouts camp and spend time "unplugged" appreciating nature! 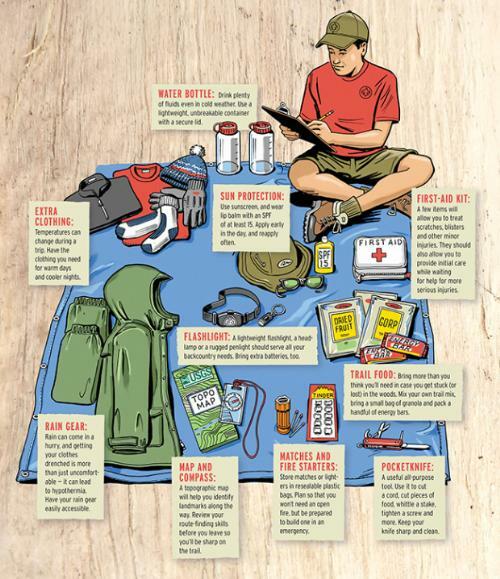 Here are some of the typical things you will need to bring on campouts. *These items are known as the Cub Scout "Six Essentials".